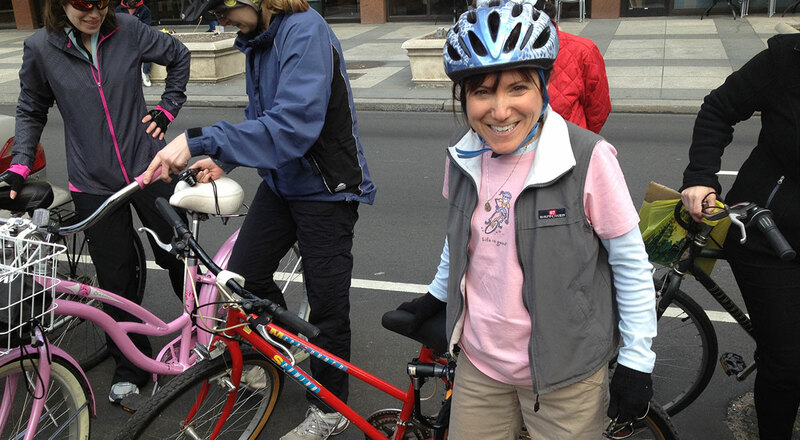 Rebecca Levenberg came to Magee in 2010 for rehabilitation after she was hit by a truck while riding her bicycle to work. She sustained serious injuries in the accident and had her left leg amputated above the knee. In 2011, Rebecca began prosthetic training at Magee Riverfront, which included relearning how to walk, as well as how to bike and skate, which she had enjoyed before the accident. During her recover, Rebecca was inspired by the Confucius quote: “The journey of 1,000 miles begins with one step.” She set a goal of walking 1,000 miles on her prosthesis. With the help of family, friends, and Team Magee, she reached Mile 1,000 on March 30, 2013 and has now celebrated more than 3,000 miles of walking! Rebecca volunteers at Magee and serves as a peer mentor for new amputees. She blogs about her journey at my-1000-miles.blogspot.com.